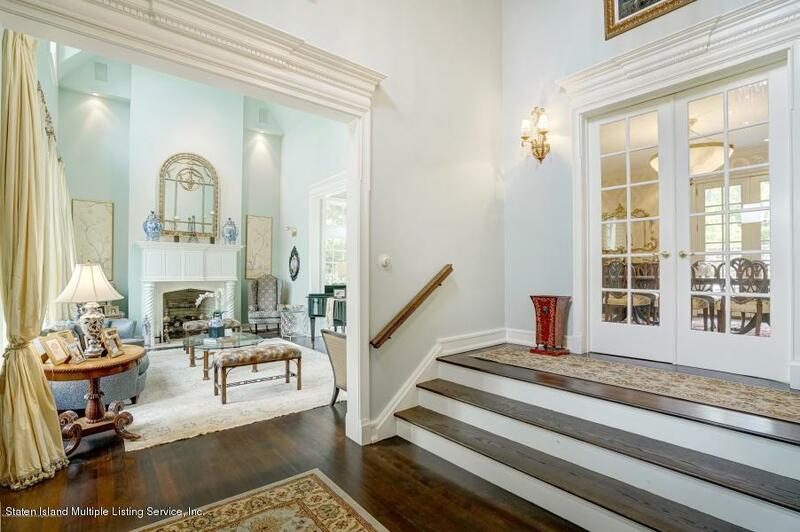 Exquisite French Normandy Tudor designed by world renowned architect Robert A.M. Stern. 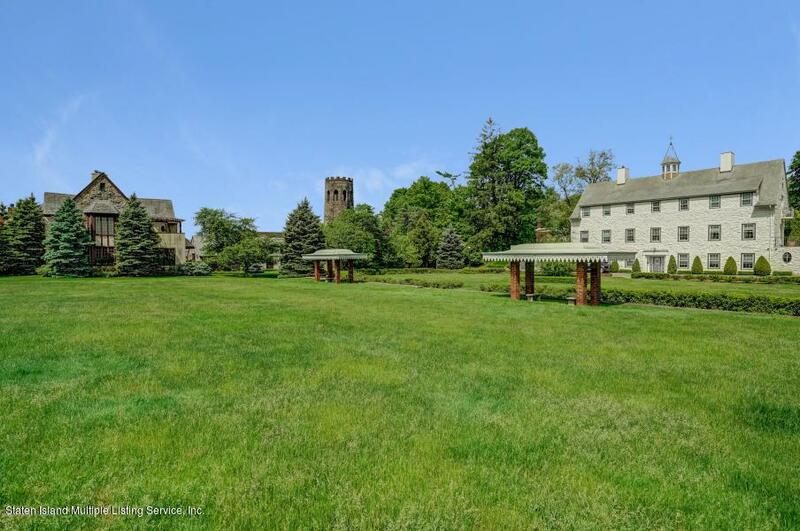 It is set in a Landmarked enclave of picturesque homes which you must see to believe! The home overlooks a large bucolic courtyard which creates a zen in the city sensation. 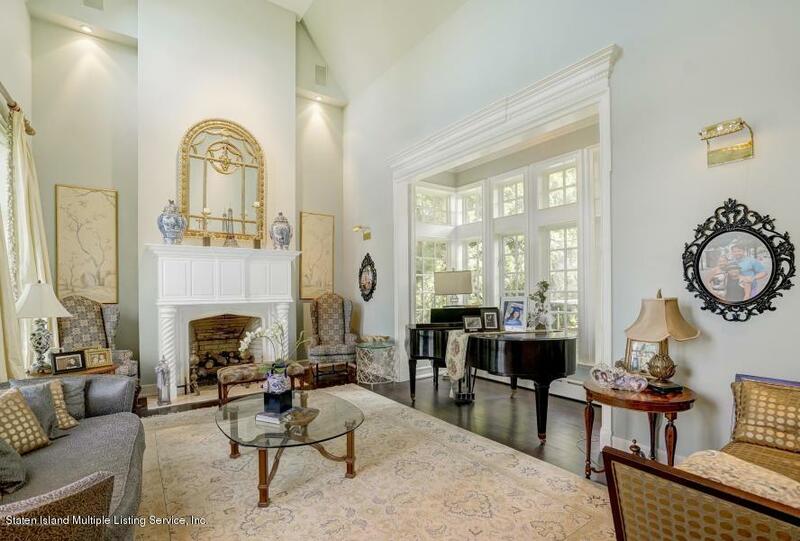 Entering the home there is a 2 story foyer and living room with magnificent fireplace and cathedral ceiling, huge formal DR, custom EIK with newer Viking Appliances, powder room and family room with fireplace. 2nd floor features a glamorous Master Suite with cathedral ceiling with new ultra luxurious WI closet and spectacular bath. In addition, on this level are 3 other bedroom suites all w/ new baths. 3rd floor features newly finished attic with media area, 1/2 bath and rec. room. Please click MORE to view the rest of the detailBasement (an additional 5 finished rooms and 1.75 baths! an additional approximately 2,000 square foot finished area) has exterior entrance, legal maids suite with full bath, gym, 3/4 bath, tremendous 3 room recreation area with 15 foot oak wet bar and fireplace! 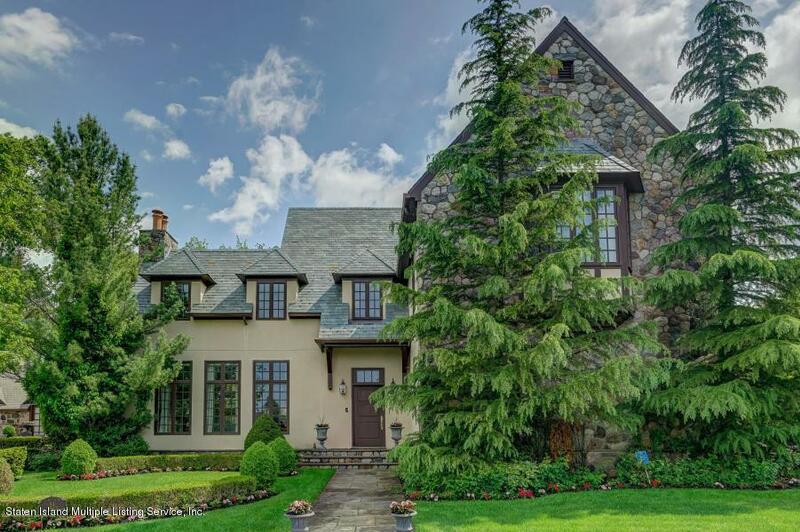 Additional details include 3 fireplaces, 10 foot ceilings on 1st and 2nd floors plus basement, terracotta clay chimney pots, slate roof, newer lavish custom window treatments, tremendous heated 2 car garage. This home and location are simply amazing! Listing information © 2019 Staten Island Multiple Listing Service, Inc. Listing provided courtesy of Neuhaus Realty, Inc..
© 2019 Staten Island Multiple Listing Service, Inc. All rights reserved. IDX information is provided exclusively for consumers' personal, non-commercial use and may not be used for any purpose other than to identify prospective properties consumers may be interested in purchasing. Information is deemed reliable but is not guaranteed accurate by the MLS or RE/MAX Edge. Data last updated: 2019-04-25T23:35:13.47. RE/MAX EDGE is Brooklyn, NY's most innovative real estate team. This information is not verified for authenticity or accuracy and is not guaranteed and may not reflect all real estate activity in the market. © 2019 REBNY Listing Service, Inc. All rights reserved. IDX information is provided exclusively for consumers' personal, non-commercial use and may not be used for any purpose other than to identify prospective properties consumers may be interested in purchasing. Information is deemed reliable but is not guaranteed accurate by the MLS or RE/MAX Edge. Data last updated: 2019-04-25T22:42:40.883. © 2019 Brooklyn New York Multiple Listing Service, Inc. All Rights Reserved. IDX information is provided exclusively for consumers' personal, non-commercial use and may not be used for any purpose other than to identify prospective properties consumers may be interested in purchasing. Information is deemed reliable but is not guaranteed accurate by the MLS or RE/MAX Edge. Data last updated: 2019-04-25T23:00:16.78.